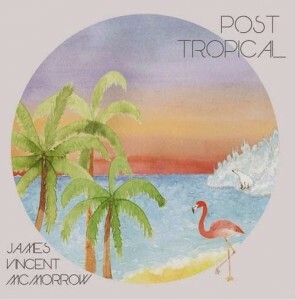 After seducing us with his caramel vocals on his cover of Steve Winwood’s ‘Higher Love’, Mister McMorrow is back to do it all over again with his debut album ‘Post Tropical’, which appeared on the iTunes store last Friday. The latest single to be lifted from it is ‘Red Dust’ and once again, we’re left quaking from the sheer beauty of that voice. The brilliant thing about James is that it’s clear that he and his people know that it’s a weapon which must be used wisely, so they create simple, gorgeous, down-tempo melodies over which we can be tranfixed by those staggeringly beautiful, intoxicating vocals.